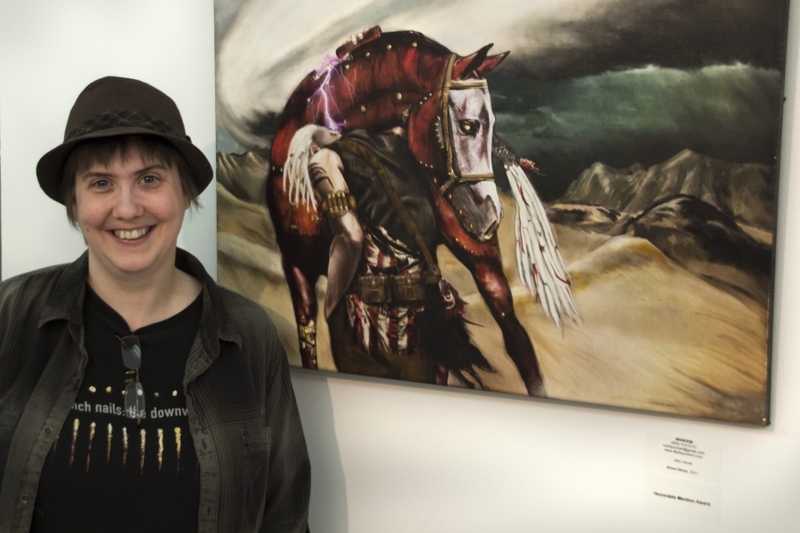 On April 5th, Florida State University Art student M. Arendsee (known by the art name MANDEM) was awarded an Honorable Mention for the painting “Skin Horse” in the 2013 Creative Tallahassee juried exhibition held at Tallahassee City Hall Art Gallery. “Skin Horse” is one of two pieces of artwork by MANDEM that was selected for this year’s exhibit. Creative Tallahassee is a highly-anticipated annual juried exhibition featuring the work of many well-known and emerging regional artists.